The Field Tuff FTF-0631CP3PT Three-Point Cultipacker has a working width of 72 in. or six ft. for a wide working area. This Field Tuff cultipacker fits your category one, three-point hitch equipment. Constructed of 31 individual, .. 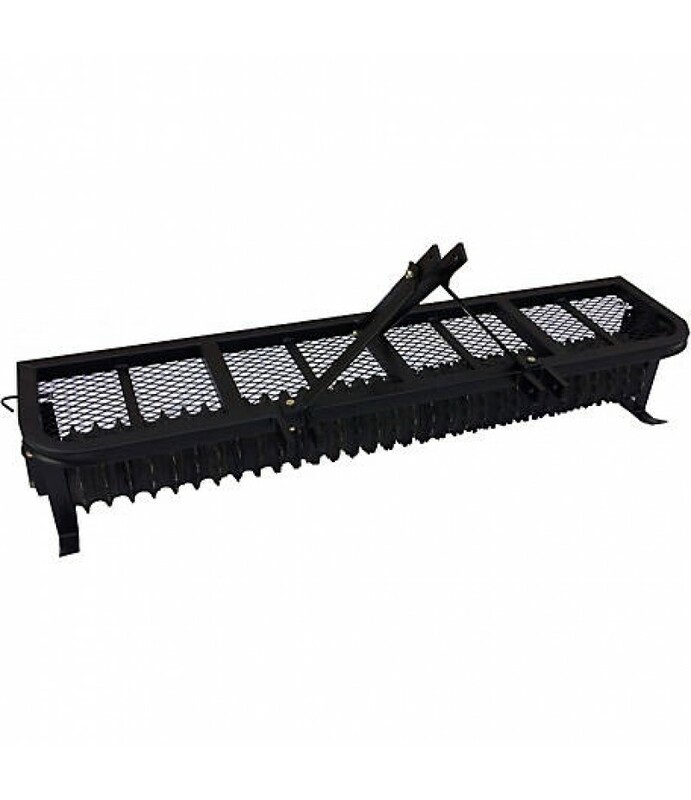 The Field Tuff FTF-0631CP3PT Three-Point Cultipacker has a working width of 72 in. or six ft. for a wide working area. This Field Tuff cultipacker fits your category one, three-point hitch equipment. Constructed of 31 individual, cast-iron, agricultural-quality packer wheels that measure 9.5 in. each. This model features crushing knobs for pulverizing clumps and creating moisture-retaining dimples for healthier soil. The steel packer wheel shaft measures 1-3/4 in. in diameter for a long-lasting tool. The cultipacker features a tray on top and the frame measures 72 in. by 18 in. The Field Tuff cultipacker is ideal for removing air pockets, creating a firm seedbed and preventing deep seed planting. One-year limited manufacturer's parts warranty. Frame measures 72 in. x 18 in.